A big thank you to everyone that entered both of the recent giveaways. 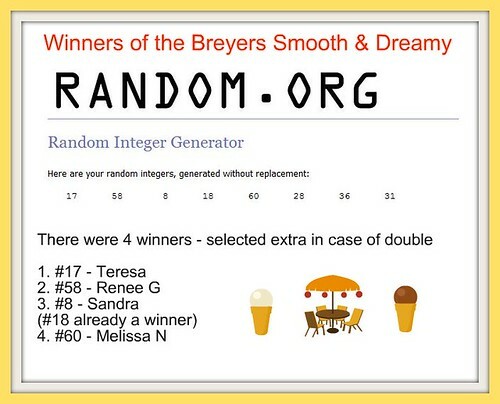 The winners have been selected and notified by e-mail. They now have 48 hours to reply with their information or alternate winners will be selected. 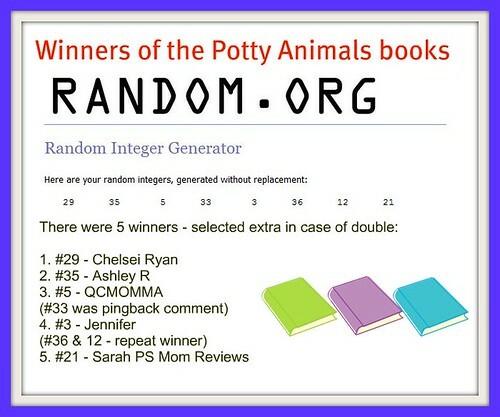 I would also like to thank Sterling Kids for the Potty Animals books to giveaway, along with Breyers and Mom Central for the Smooth & Dreamy coupons to share. More giveaways will be coming soon, so stay tuned! Yay! Thanks so much! I already sent you my information. Fantastic! I can’t wait to try these. Thank you for hosting the giveaway. I already sent you my information.